Former Dallas police officer Amber Guyger is now facing a murder charge in the shooting death of unarmed neighbor Botham Jean, court records show. 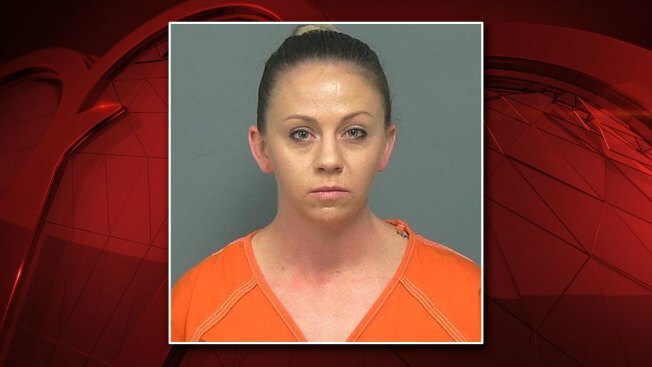 Guyger, 30, who is white, was charged with manslaughter Sept. 9 following an investigation by the Texas Rangers into the Sept. 6 fatal shooting that killed her black neighbor, 26-year-old accountant Botham Jean. Upon hearing the evidence, the grand jury opted Friday to indict Guyger on the more serious murder charge and took no action on the manslaughter charge filed by the Texas Rangers. Dallas County District Attorney Faith Johnson said Friday afternoon that even though the Texas Rangers were the lead investigative agency in the case, her office conducted their own investigtion and that she was confident once the grand jury heard the evidence presented by her office that they would "do the right thing." "Our office ... did a thorough job of presenting this case to the grand jury. Not only presenting the evidence but also explaining the law," Johnson said. "Once the grand jury heard this case, they did return an indictment for murder." Guyger's attorney, Robert Rogers, said he disappointed in the indictment but not suprised. "Although I am disappointed that the grand jury returned an indictment, in light of the political pressure and outpouring of vindictive emotion, I can’t say that I am surprised. This is a terrible tragedy that resulted from a true mistake. We are confident that a dispassionate jury in a fair forum will objectively apply the law to the facts and find Amber not guilty," said Rogers. Jean's family, who have filed a federal civil lawsuit against Guyger and the city of Dallas, stood beside Johnson Friday as she discussed the grand jury's decision. Jean's mother, Allison Jean, told the media she was satisfied with the murder indictment and thanked the people of Dallas for rallying around her son. "I'm truly grateful for that. I want to thank the DA's office, particularly DA Faith Johnson, for the work that her staff have put into gathering evidence and presenting to the grand jury in order to return such an indictment," Allison Jean said. "I look forward to the next step, which is a conviction of murder of Amber Guyger. And more so of a penalty, the proper penalty that will cause her to reflect on what she has done and the pain she has caused... So, I'm depending on you to continue to rally with us as we seek continued justice for him." Botham's father, Bertrum Jean, added, "It is such a hard thing to go through. We miss our boy dearly. He didn't deserve that. He was such a sweet boy, in his home. How can we move on without him? But we will try." Botham Jean, a native of St. Lucia who attended college in Arkansas and had been working in Dallas for PwC, was in his own apartment Sept. 6 when Guyger shot and killed him. Following the shooting she told investigators she'd left work and was returning home to her apartment at the South Side Flats when she apparently got off on the wrong floor and entered the wrong apartment -- she said she shot Jean believing he was an intruder in her apartment. Investigators would later confirm that Jean lived one floor directly above Guyger. The case sparked protests and national debate over what charges she should face. Dallas Chief of Police U. Renee Hall said Friday, "Every person in the Dallas Police Department continues to feel anguish about this difficult and tragic event that occurred on Sept. 6, 2018 ... Please continue to pray for the Botham Jean family, the Dallas Police Department and the city of Dallas as a whole." Hall also acknowledged some of the discord between communities and police and said her department supports restructuring the Citizen Review Board, pushed for more implicit bias training and continues to work with employee and community advisory boards. Of the indictment, Dallas Mayor Mike Rawlings said, "Botham Jean was an incredible young man who was tragically taken from us too soon. Our city will never forget him. Today’s decision is another step on the long path toward justice for Botham. We appreciate the work of the Texas Rangers and the Dallas County District Attorney’s Office. Please continue to pray for the Jean family." "We are pleased with the decision of the grand jury to indict Amber Guyger for murder for the killing of Mr. Botham Shem Jean. This is the next step in securing a verdict that will be favorable to the evidence that will be presented by the District Attorney’s Office. We would like to thank the District Attorney’s Office for the thorough investigation that they have conducted in gathering evidence in the pursuit of justice. We call on the community to remain calm and let the criminal proceedings take its due course. However, we ask that you join us in continued prayer and support for the family and friends of Mr. Botham Shem Jean. The Dallas NAACP will remain vigilant in monitoring the proceedings of this case and look forward to justice being rendered." Guyger turned herself in for a 'walk through' at the Mesquite Jail on Friday afternoon. She will not be re-arrested on the new charge and her bond of $300,000 carries over from the manslaughter charge. She faces between five years to life in prison on the murder charge; the manslaughter charge carries a sentence of two to 20 years in prison. Johnson, whose term is up as Dallas County DA in January 2019, said she's hopeful the new DA can convince a jury to return a proper verdict in the case. Experts say a jury could still consider a manslaughter charge if they can't agree to convict for murder. NBC 5's Tim Ciesco, Scott Gordon, Ken Kalthoff, Alice Barr and Meredith Yeomans contributed to this report.